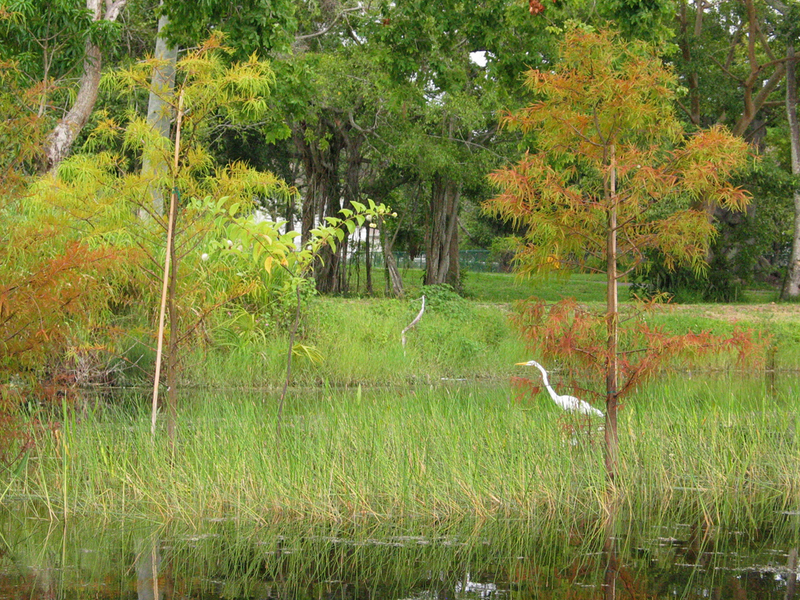 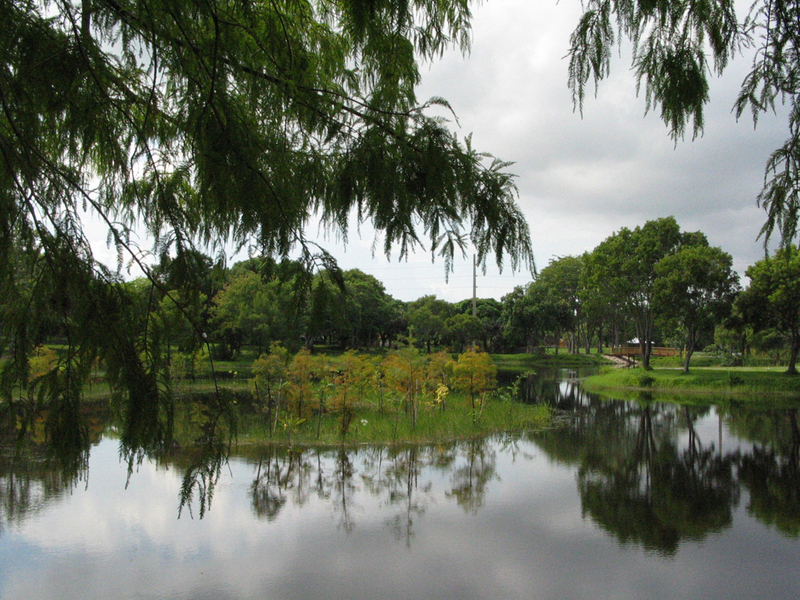 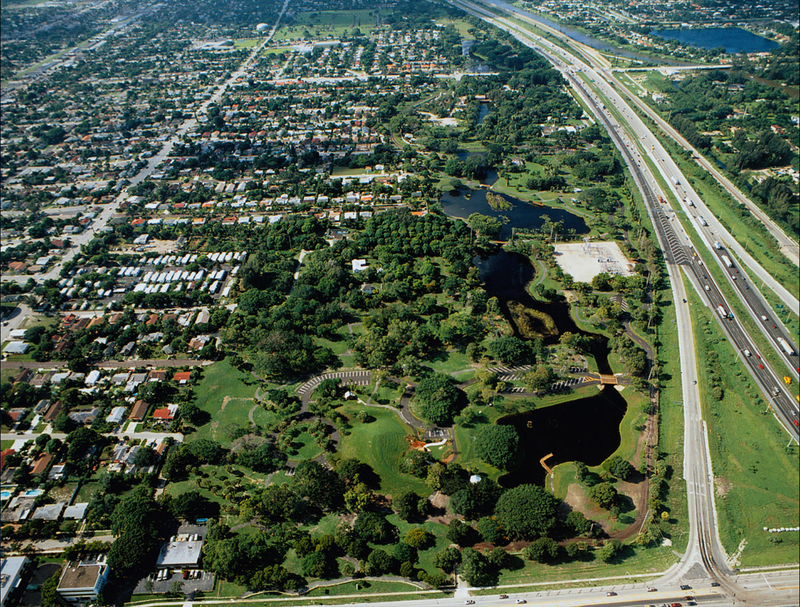 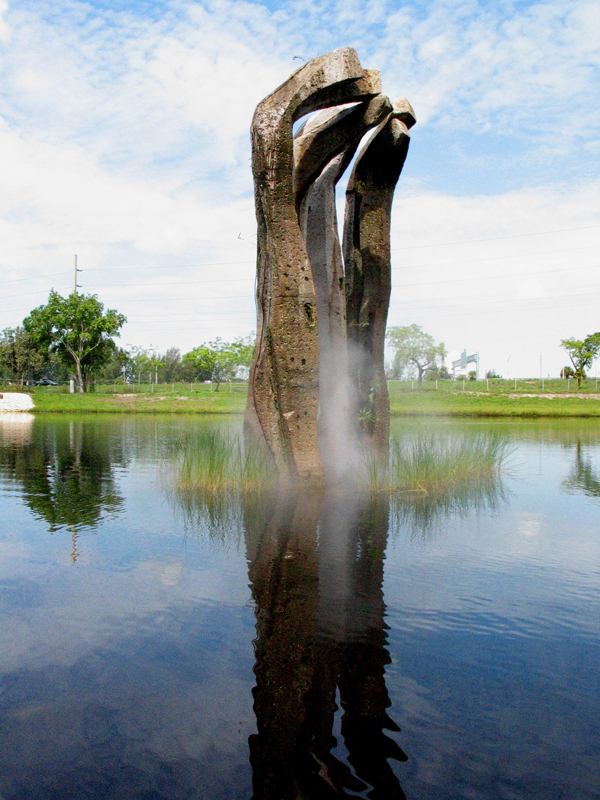 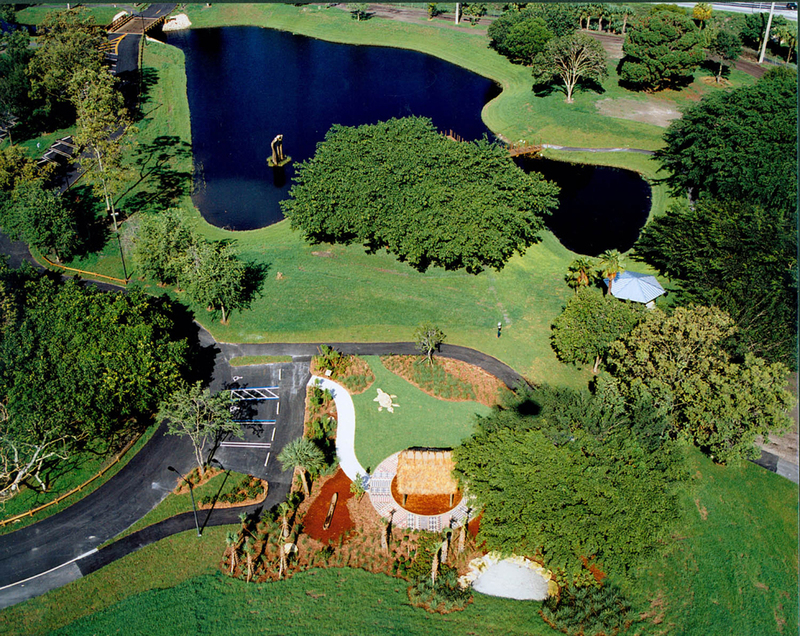 In 2003-2004 the City of West Palm Beach redesigned its premier park, 130 acre Dreher Park, to improve stormwater capacity and enhance recreation areas. 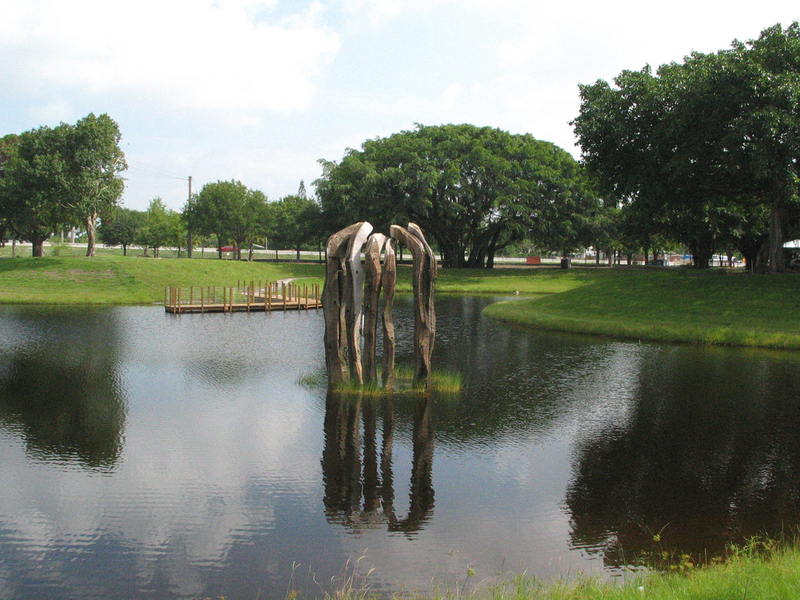 Artist team Jackie Brookner and Angelo Ciotti were commissioned to work on art concepts throughout the park and be part of the Design Team. 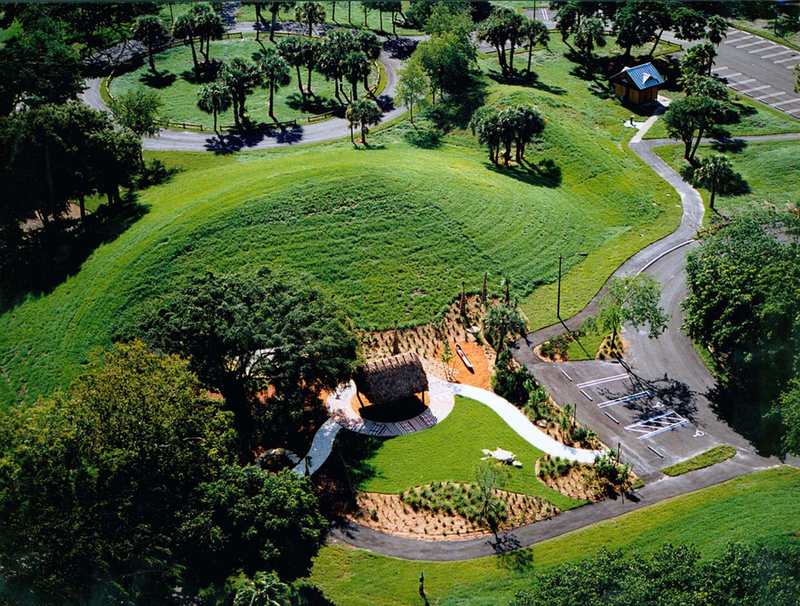 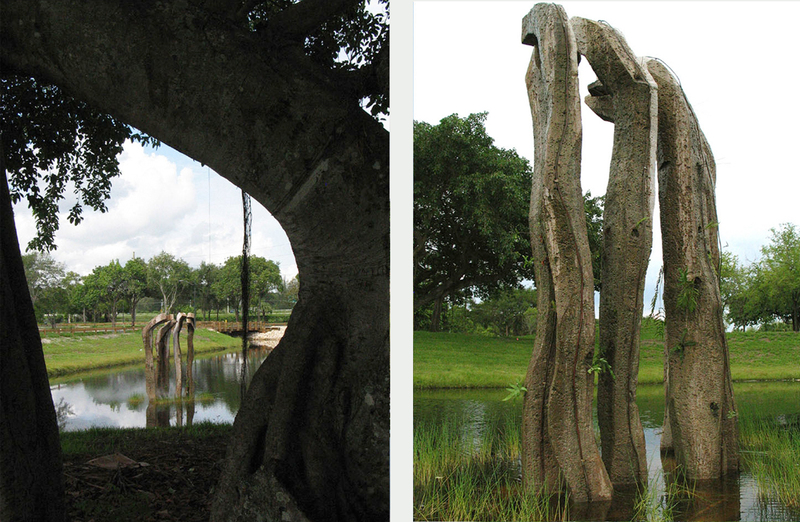 Brookner and Ciotti created Elders’ Cove, a landscape complex that includes a fourteen foot biosculpture, that uses wetland plants to filter water in one of the park’s new lakes, a viewing dock, wetland habitats, and sculpted mounds that reclaim excavated soil. 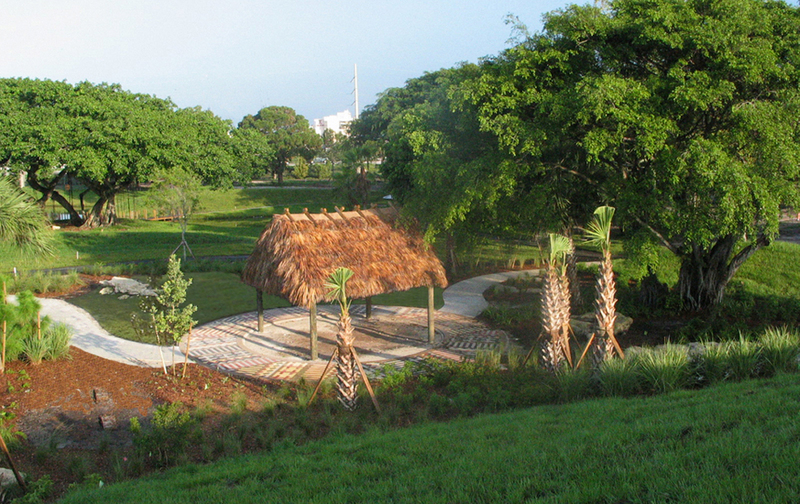 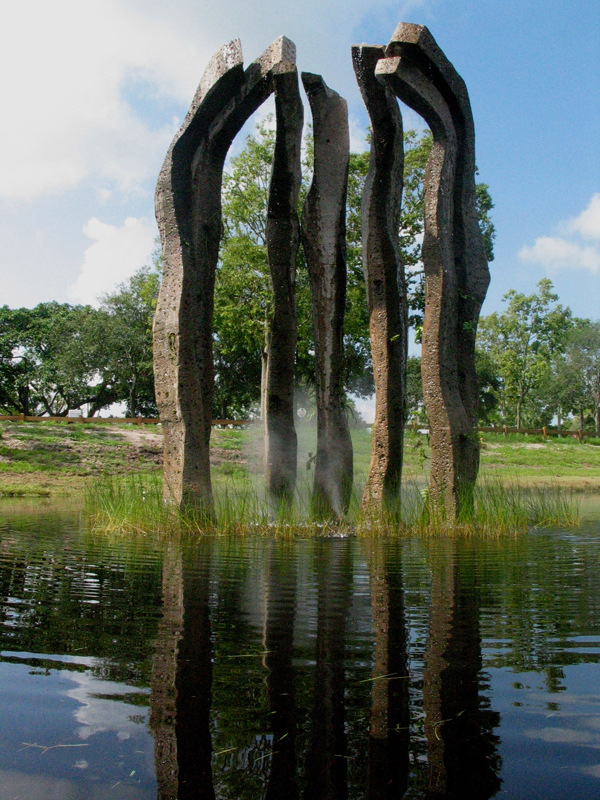 Other of their concepts include cypress swamp islands that recall the original Everglades ecosystem of the site, a medicinal garden based on Seminole culture designed in consultation with Seminole elders, and native plant restoration.